Love plums? Love apricots? Now you can love both together. The pluot is among the most popular hybrids claiming space on grocery store shelves, offering a flavor defined by both sweetness and depth. With a lighter skin and a bold center ranging from deep red to dark yellow, pluots are among the most interesting and flavorful stone fruit options on the market today. A pluot, as the name implies, is a cross between a plum and an apricot that is more plum than apricot. A derivative of earlier plum-apricot mixes, pluots have plum-like characteristics that foster a dark inner flesh filled with juice. Like other varieties of fruits – apples, for instance – pluots are available in a range of subspecies based on pollination. Some, like the Flavor Delight, are available early in the season and boast a pink flesh, while others, like Flavor King, have a fruit punch-like flavor and are available later on in the summer. Different varieties are available across the country and throughout the year, creating a diverse blend of options to cultivate maximum flavor, both in fruit-based dishes and alone. Despite a recent boost in popularity, the pluot is not exactly a new concept. In fact, its origins date back to the late 1800s. The first plum and apricot hybrid was introduced by plant breeder Luther Burbank, a botanist and horticulturalist from Massachusetts, around the turn of the twentieth century. He is responsible for more than 800 varieties of plants over his 55-year career, including a 50/50 apricot-plum creation he called the plumcot. This concept was later adapted by Floyd Zaiger, a renowned biologist and the founder of Zaiger Genetics, in the 1980s to introduce the first modern plumcot. Unfortunately, this development to the stone fruit family wasn’t well-received; despite a pleasing flavor, the plumcot was a challenge to grow, harvest, and transport, turning off commercial farmers and distributors. In order to capitalize on the interest in new fruits, Zaiger chose to cross his creation with a plum, innovating a mix that is three-fifths plum and two-fifths apricot. To distance himself from the dubious reputation of the plumcot, he chose the name pluot in 1990, and trademarked it in 2007. “Pluot” is the common name for plum-apricot hybrids weighted primarily toward plums, but this term is in fact owned by Zaiger. However, as more and more grocery stores embrace this title for hybrid stone fruits, pluot is slowly transitioning into the common vernacular. The pluot currently exists in around 20 lineages that grow throughout the summer. Most varieties are defined by a lighter skin with a deep-colored center, but some variations have darker skins similar to a conventional plum. Flavors can vary from very very sweet to mild and light, depending on the season and parent lineage. While pluots are among the most popular plum-apricot options, it’s not the only one. Pluots are defined by a majority of plum attributes; most are 75-25 plum to apricot, or, at minimum, 60-40. However, blends exist at other ratios. 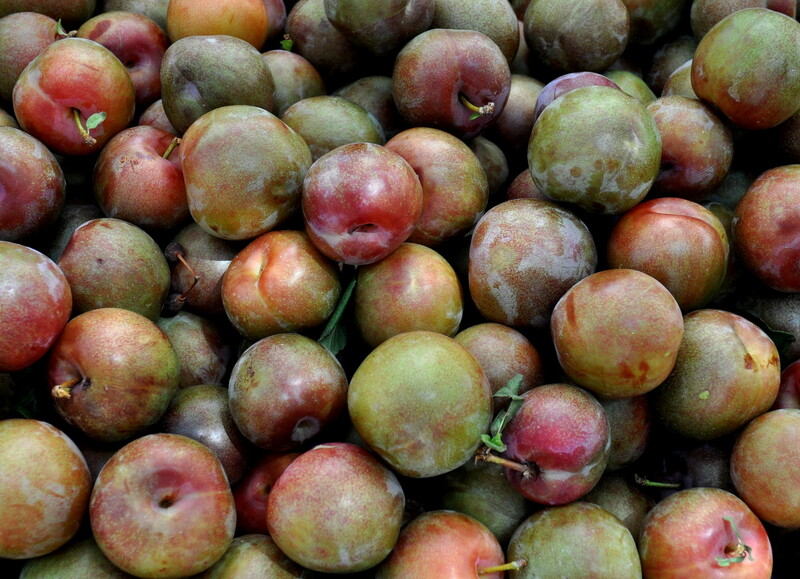 As identified above, plumcots are 50-50 blends, and are also known as apriplums. 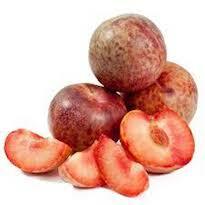 Apriums, however, are the opposite of pluots; they are primarily apricots, often in a 75-25 percent mix. Apriums are usually lighter in color, with a pale red exterior, a yellow interior, and a tarter flavor. In spite of the fact that each variety of pluot takes, on average, 12 to 15 years to perfect, pluots have taken the industry by storm. Today, pluots make up the majority of the plum market, and some distributors and grocers don’t even note the difference; you may believe you’re eating a plum, but are really enjoying a pluot. In general, pluots are available from May to October, with orchards located mainly in Washington and California. Despite the distance, these sumptuous stone fruits can be enjoyed nationwide, with a growing fanbase in the Midwest and on the East Coast. As one of the most popular plum variants sold today, pluots have the ability to improve almost any menu. If you’re looking for a way to spice up a dessert or infuse sweetness into an appetizer, pluots can help you add the stand-out flavors your guests crave. Produce Services of Los Angeles is a proud partner and produce supplier to over 400 restaurants throughout Southern California! We carry a full line of wholesale fresh and frozen fruits and vegetables including raspberries along with dairy and dry goods! Not only do we support local farmers and source local produce whenever possible, we support up and coming talent in the food community. Please REQUEST A QUOTE or visit our homepage at www.pslainc.com to learn more! 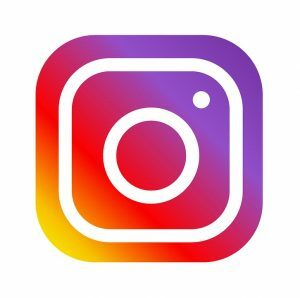 The Above Content Is Original And Created For Your Enjoyment By Your Friends At PSLA!